1Department of Orthodontics, Universitat de Barcelona, Spain. 2Bellvitge Biomedical Research Institute (IDIBELL), Barcelona, Spain. 4Universitat Pompeu Fabra (UPF), Barcelona, Spain. 5CIBER Epidemiología y Salud Pública (CIBERESP), Barcelona, Spain. 6Department of Psychiatry, Vall Hebron Research Institute (VHIR), Barcelona, Spain. Background: A great challenge for orthodontics is that patients could achieve a good level of oral hygiene in order to prevent oral health problems. There is evidence that patient-centered approaches may have better outcomes than traditional advice giving when a lifestyle change is involved. The aim of this study was to evaluate the association between the transtheoretical model stages of change and the level of oral hygiene in orthodontic patients. Material and Methods: A total of 106 orthodontic patients, aged 12-25 years, wearing fixed appliances in both arches, were recruited from the Orthodontic Department of Universitat de Barcelona. 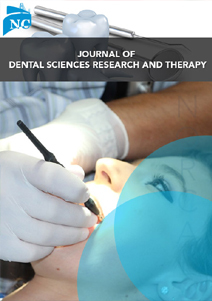 All patients received a session of conventional education in oral hygiene, were evaluated using plaque and gingival indexes and were categorized according to the transtheoretical model of Prochaska and Diclemente, a model to determine health-related behaviors based on people readiness to change habits. Results: Almost two thirds of patients reported being at less advanced stages of change (63%), being the most frequent stage the preparation one (40%). Patients showed a mean plaque index of 1.05 (0.45) and a mean gingival index of 0.75 (0.38). A decrease in both indexes was found as the phase of stage of change progressed. Conclusion: Participants being at more advanced stages of change had better oral hygiene as compared with the ones at the contemplation and preparation stages. Maintaining good oral hygiene in orthodontic patients wearing fixed appliances to prevent caries, decalcifications and gingival problems is a challenge for orthodontists [1,2]. Conventional education, focused on giving normative advice, is not enough to achieve substantial behavioral changes [3,4]. There is evidence that patient-centered approaches to health care consultations may have better outcomes than traditional advice giving, especially when lifestyle change is involved . Some health behavior interventions should be used to facilitate a person´s movement toward a desired change behavior [6,7]. In order to categorize a person´s readiness to change, the transtheoretical model of change of Prochaska and Diclemente  provides a framework and includes five stages: precontemplation, contemplation, preparation, action and maintenance . Each stage of change represents both a period of time and several tasks needed for movement to the next stage . 1- Individuals being in the first stage of change are not thinking about improving their oral hygiene habits, because are typically under-aware of a possible health threat arising from their behavior. 2- In the second stage, contemplation, individuals think about having better oral hygiene, but have not yet decided to change habits. 3- In the third stage, preparation, patients are engaging in some oral brushing. 4- In the penultimate action stage, patients have been brushing more often, although for less than six months. 5- Lastly, in the maintenance stage, patients have achieved sustained oral hygiene habits for more than six months. In this study we sought to evaluate the association between the transtheoretical model stages of change and the level of oral hygiene in orthodontic patients . Our hypothesis was that better oral hygiene, measured by lower plaque index scores (≤ 1), would be more prevalent in more advanced stages of change. Eligible participants were all adolescents attending the Orthodontic Department from July 2016 to July 2017, wearing fixed appliances in both arches and within the first 6 months of treatment. Parental written consent and patient´s assent was obtained on their participation. Eligibility criteria were those orthodontic patients, aged 12-25 years, wearing fixed appliances in both arches within the first six months of treatment. The eruption had to be completed (except for the third molars). Patients were excluded if they had any periodontal disease, dental fluorosis, any systemic disease such as diabetis, or being a smoker, taking any kind of drugs (antibiotics or those that could affect oral hygiene, hyperplasia or bleeding) and being pregnant. Sociodemographic data was collected and participants received a 15 minutes of conventional education in oral hygiene, consisting of an oral health education talk about the importance of oral hygiene in order to prevent caries and periodontal diseases. Patients were verbally instructed to follow the modified Bass brushing technique with a mouth model and aided by pictures. Patients practiced brushing under supervision and there was time to raise questions. Patients were instructed to brush at least two times a day, after every major meal, with an average brushing time of minimum 3 minutes following the modified Bass technique. We evaluated the plaque and gingival indexes by Löe & Silness  and categorized the participants according to the stage of change as derived from the transtheoretical model by Prochaska and Diclemente for oral hygiene behaviors, asking them to choose one of the five options as it is shown in (Figure 1): 1- I don´t think I should change my oral hygiene (Pre-contemplation), 2- I don´t brush my teeth very well but I´d like to do it better (Contemplation), 3- I´ve planned to brush my teeth better or more time (Preparation), 4- I have good oral hygiene and I have started having it for the last 6 months, 5- I´ve always brushed my teeth properly, and I’ve been doing so for longer than 6 months (Maintenance) . Study participants were characterized using descriptive statistics by mean and standard deviation or counts and percentages depending on their nature. To check if the level of oral hygiene was different across the transtheoretical stages of change we used the t-test and the analysis of variance test. The Research Ethics Committee of the Hospital Odontològic Universitat de Barcelona approved this protocol on July 2015 (Approval number: 2015-07). A total of 106 orthodontic patients, aged 14 years (SD 2.6) were included in the study. Most of them (58%) were female and most of their parents had superior education (47%) as it is shown in (Table 1). In (Table 2) the distribution of patients among the different stages of change are presented. Most of the subjects reported to be at the preparation stage of change (40%). Almost two thirds of patients (63%) were were to be at with less advanced stages of change (contemplation and preparation) as compared with the 37 percent of them identified with more advanced stages (action and maintenance). None of them reported to be at the precontemplation stage. In (Table 3), results regarding plaque and gingival indexes across stages of change are presented. Participants showed a mean plaque index of 1.05 (0.45) and a mean gingival index of 0.75 (0.38). Table 3: Mean and standard deviation of plaque and gingival indexes across stages of change of Prochaska and Diclemente. In (Table 4), the comparison of mean plaque and gingival indexes across stage of change is shown. For the plaque index we found statistical differences between subjects being at action and maintenance stages (0.95 (0.41)) as compared with those at the contemplation and preparation stages (1.11 (0.47)) p= 0.039. Regarding the gingival index, statistical differences were found between participants being at action and maintenance (0.66 (0.37)) as compared with those at contemplation and preparation stages (0.80 (0.38)) p= 0.034. This study revealed that most of participants reported to be at the preparation stage, meaning that patients are engaging in some oral brushing. The goal from a readiness of change point of view, for adolescents wearing fixed appliances, is that they feel identified with the action and maintenance stages, which means that they had been brushing more often or they had already acquired sustained brushing habits. The difference between the last two stages is the time they started with the new behavior. On the contrary of the desired situation, almost two thirds of participants in this study reported to be at less advanced stages (contemplation and preparation). Our results showed that more efforts should be made for those patients who have not yet decided to improve oral habits or are still engaging in oral brushing, supporting the need of an implementation of a strategy in order to enhance oral hygiene. According to our results, those participants identified with more advanced stages of change, showed lower values of plaque and gingival indexes, reflexing improved oral hygiene. These findings confirm our hypothesis where we expected that better oral hygiene, measured by lower plaque index scores would be more prevalent in more advanced stages of change. According to our knowledge, this study is the first one to categorize the stages of change of adolescents in orthodontic population. We found that patients presenting the best oral hygiene were those identified with the maintenance stage of the transtheoretical model, being the most conscious about oral hygiene with a successfully achieved behavior. As conventional education alone  seems to be insufficient to reach high levels of oral hygiene in orthodontic population, we think that more specific health behavior interventions should be targeted at people in the lowest stages of change trying to match different possible contents of intervention for each stage. A recent study by Kamalikhah  classified dental flossing behavior among students in the transtheoretical model, and found that nearly half of them were at the precontemplation stage. These differences can be explained because the population studied had different social and cultural backgrounds and it lacked of a valid oral health index to evaluate the oral health. Further work is needed to study the association between stages of readiness of change and oral hygiene behaviors in other dental settings and at long-term follow-up. Participants being in more advanced stages of change had better oral hygiene as compared with the ones in the contemplation and preparation stages. The authors would like to thank Dentaid® for supporting the study providing the participants with the oral hygiene material required. Acharaya S, Goyal A, Ultreja AK, Mohanty U (2011) Effect of three different motivational techniques on oral hygiene and gingival health of patients undergoing multibracket orthodontics. Angle Orthod 81: 884-888. Arnold S, Koletsi D, Patcas R, Eliades T (2016) The effect of bracket ligation on the periodontal status of adolescents undergoing orthodontic treatment. A systematic review and meta-analysis. J Dent 54: 13-24. Lalic M, Aleksic E, Gajic M, Milic J, Malesevic D (2012) Does oral health counseling effectively improve oral hygiene of orthodontic patients? Eur J of Paedriatr Dent 13: 181-186. Albino J, Tiwari T (2016) Preventing childhood caries: a review of recent behavioural research. J Dent Res 95: 35-42. Miller WR, Rollnick S (2014) The effectiveness and ineffectiveness of complex behavioural intrventions: impact of treatment fidelity. Contemp ClinTrials 37: 234-241. Jönsson B, Ohrn K, Oscarson N, Lindbert P (2009) An individually tailored treatment programme for improved oral hygiene: introduction of a new course of action in health education for patients with periodontitis. Int J Dent Hyg 7: 166-175. 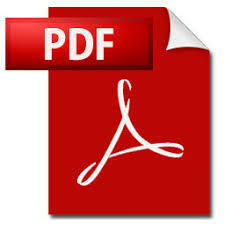 Jönsson B, Ohrn K, Oscarson N, Lindbert P (2009) The effectiveness of an individually tailored oral health educational programme on oral hygiene behaviour in patients with periodontal disease: a blinded randomized controlled trial (one-year follow up). J Clin Periodontol 36: 1025-1034. Prochaska JO, DiClemente CC (1984) The Transtheoretical Approach: crossing traditional boundaries of therapy. Homewood, Illinois: Dow/Jones Irwin. Prochaska JO, DiClemente CC, Norcross JC (1992) In search of how people change. Applications to addictive behaviours. Am Psychol 47: 1102-1114. Armitage C, Arden M (2007) Felt and potential ambivalence across the stages of change. J Health Psychol 12: 149-158. Rigau-Gay M, Claver-Garrido E, Benet M, Lusilla-Palacios P, Ustrell-Torrent J (2017) Assessment of readiness to change for oral hygiene behaviour in adolescents wearing fixed appliances. Abstract poster: SP 369, p: 171. European Orthodontic Society, Montreux, Switzerland. Löe H and Silness J (1967) The gingival index, the plaque index and the retention index systems. J Periodontol 38: 610-616. Rigau-Gay MM, Claver-Garrido E, Benet M, Lusilla-Palacios P, Ustrell-Torrent JM (2018) Effectiveness of motivational interviewing to improve oral hygiene in orthodontic patients: A randomized con­trolled trial. J Health Psychol. Harrison R (2014) Motivational Interviewing (MI) compared to conventional education (CE) has potential to improving oral health behaviors. J Evid Based Dent Pract 14: 124–126. Kamalikhah T, Mazllomi Mahmood Abad S, Khalighinejad N, Rahmati-Najarkolaei F (2017) Dental flossing behavior and its determinants among students in a suburb area of Tehran-Iran: using Transtheoretical Model. Int J Dent Hyg 15: 106-112.